On this very special edition of FUV Live, it's a session with pop icon Janelle Monáe. She's a triple threat: a model, an accomplished actor who recently starred in the critically-acclaimed films Hidden Figures and the Oscar-winning Moonlight, and of course, she is best-known for her music. In 2007, Monáe released her first record, an EP called Metropolis: Suite I (The Chase). On it, she introduced "Cindi Mayweather," an alter ego that took the form of an android. Throughout Monáe's music career, she's continued to write songs in Mayweather's voice, but on this latest release, Dirty Computer, that persona is shed, revealing the real Monáe. Dirty Computer is an empowering collection of songs that deal with sexuality, race and gender, all set to infectiously catchy rhythms. (Prince worked with Monáe on tracks like "Make Me Feel" before his death.) 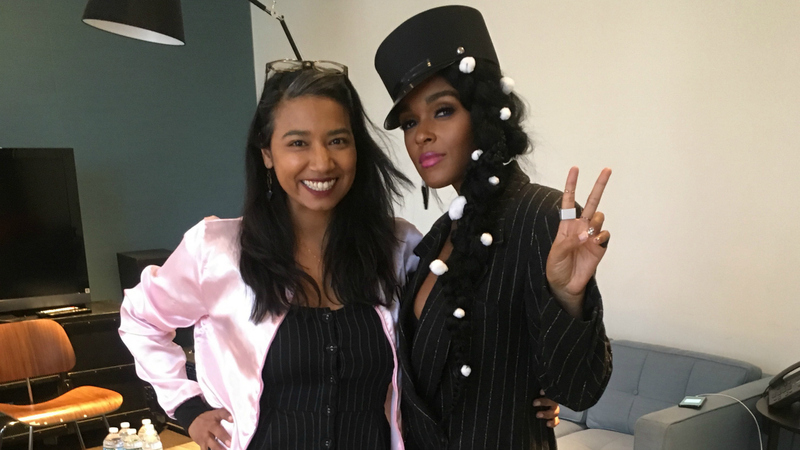 When Monáe was recently here in NYC, she graciously made some time to talk with me about the album.